Time for another wedding craft project! With my wedding fast approaching (2 sleeps to go!) 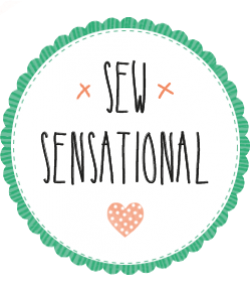 I thought I’d share with you another snippet of the crafty bits and pieces I’ve been getting up to in preparation for the Big Day. It’s also the last post you’ll see from me for a little while whilst I take a well-earned break with my handsome new husband. 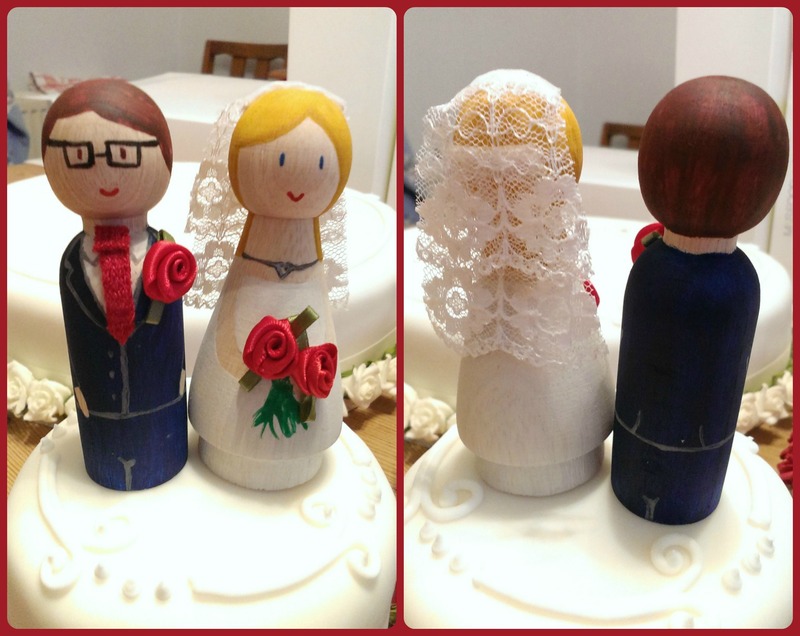 So, for now, here are my delightful DIY cake toppers! 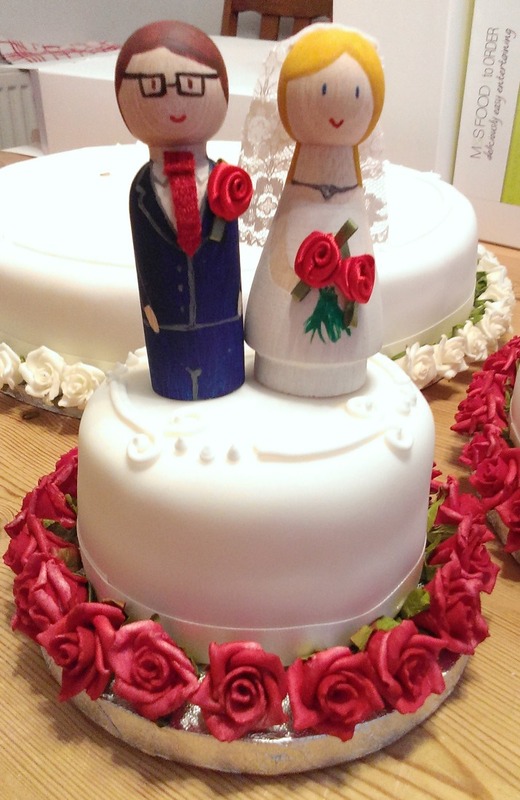 The wooden figures I used for my cake toppers came from the lovely Goose Grease shop on Etsy – they have so many wooden figures to choose from; you can get whole families, couples and even pets! There’s the choice to go DIY or they’ll customise them for you. I picked the plain man and woman figures and then bought some acrylic paints so I could personalise them myself to look like me and Chris. The instructions recommend that you start by painting the face and the hair, then the clothes and then paint on the fine detail using a cocktail stick. I also used some strong Hobbycraft glue to attach a scrap of lace for my veil, a piece of red fabric for Chris’ tie and some little roses (from the wedding invites) for the bouquet and buttonhole! They were such fun to make and I really do recommend it if you’ve got an event coming up in the near future. I had to do about 3 coats of paint to get the strong colours but, aside from that, they really took no time at all. Now, anyone for a slice of cake? Teeheee that’s such a cute idea!! Very clever they are so cute! Have a fabulous day on Saturday. I was offered a little advice before my wedding. Some things may not be as you envisaged, but NO ONE will notice! Ahhh this might seem weird but I’m really wondering how your wedding went! I hope it was as beautiful and lovely as you dreamed it to be 🙂 Please post some photos when you’re able to! !